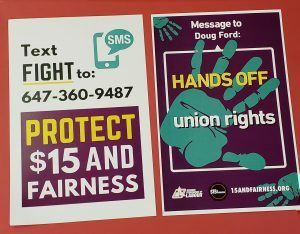 The election of Doug Ford means that workers, union and non-union alike, are facing down a legislative attack on their rights. Ford signalled in the winter that he would freeze the minimum wage at $14. There is little doubt he also has his sights on employment standards and labour laws in a bid to weaken workers’ power. The big business lobby has been clamouring to roll back decent work laws since Bill 148 was passed in January 2018, and there is every reason to fear attacks on workers’ rights will go further than reversing recent gains. Ford’s attack on the minimum wage and workplace standards is a major concern for unions. Over 100,000 unionized workers in Ontario make less than $15 an hour and many more make between $15 and $20 an hour. Read more! 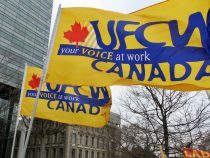 When workers at the Original Cakerie in London, Ontario, who manufacture frozen desserts, showed an interest in joining the United Food and Commercial Workers (UFCW) union, they prepared for the usual challenges to forming a union. However, these workers were also supposed to benefit from recent legislative changes in Bill 148, the Fair Workplaces, Better Jobs Act, which requires employers to provide the union with a complete list of employees and their contact information when at least 20 percent of the workers – in this case nearly 400 – sign union cards. Read more! 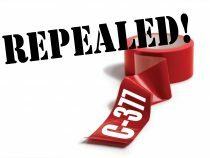 Between 2012 and 2015, we researched the origins of and lobbying for C-377. Read more! BUY BACK THE WHEAT BOARD! In the latest episode of Rank and File Radio – Prairies Edition, host Emily Leedham speaks with Union of Canadian Transport Employees President Dave Clark and Winnipeg Labour Council president Basia Sokal. This week, Clark called for the government to buy back the Canadian Wheat Board from the Saudi-U.S. joint venture, Global Grain Group. The Harper government sold 50.1% of the CWB to the joint venture, which is now known as G3 Canada Limited. 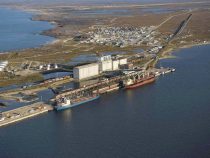 Grain shipments through the Port of Churchill were vital to Churchill’s livelihood. Read more!